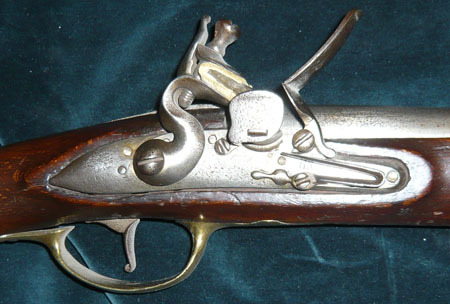 It might be that your musket is also made from odd bits and pieces gathered by an eager collector. I am confident it will get better with a bit of your care. When it comes to the self-priming vent hole we have something similar on Danish/Norwegian muskets. I cannot remember having seen a contemporary illustration of it. Alm refers to it being 7mm on the inside, 3mm outside diameter. No illustrations as far as I can see. I am not familiar with which models had it but some of the Dk/N models used Kyhl's pan screen to hinder injuries to the fellow standing on the right side in the firing line. Example picture borrowed from Trond's page.